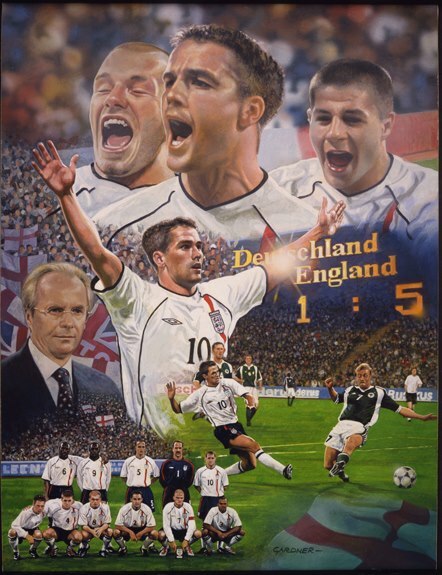 I painted this in 2001, shortly after England beat Germany 5-1 in Munich. This was back when I was a believer. I've since been cured of such nonsense.